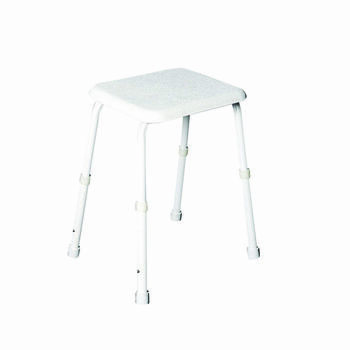 Height adjustable shower stool without arms. Ideal for small, restricted shower areas. Made from powder coated mild steel tubing which is zinc treated to help prevent rust. Seat is made from a durable moulded plastic. Fitted with non-slip rubber tips.